Maximum Scan Size: 8.5 x 11.7"
Minimum Scan Size: 1 x 1"
Digitize your photographs and documents with confidence and ease by using the ePhoto Z300 Photo and Document Scanner from Plustek. Optimized to handle the delicate nature of printed photos, the single-sheet unit is gentle to avoid damaging surfaces. It is also capable of high quality scans using a 300 dpi CCD sensor which can work with documents from 1 x 1" to 8.5 x 11.7" in size. Speed is a priority as well with the ability to digitize a 4 x 6" photo in just 2 seconds or a letter-sized document in 5 seconds. Automatic document detection will recognize your photo or document and initiate the scan, and the scanner is capable of handling up to 500 sheets each day. 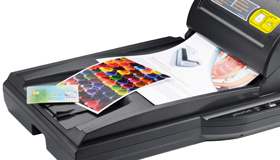 The Z300 connects to a printer simply, using a USB 2.0 connection and can then work with Plustek's ePhoto software for editing, adjusting, and saving your files. This also provides access to different file formats, such as BMP, JPG, TIFF, PNG, PDF, or searchable PDF and sharing to multiple social networks. Box Dimensions (LxWxH) 13.7 x 10.8 x 8.2"
Plustek's eScan A150 allows end users to instantly power up the device for fast scanning. Its built-in 7" LCD touch screen is intuitive and offers a quick way to review or even crop targeted images, before delivering the final digitally captured data. People can send or save the final image in different file formats to multiple destinations such as: USB drive, network folder, mobile, e-mail or a variety of cloud service providers. Built in 7" LCD touch screen is intuitive and offers a quick way to review and crop targeted images , up to 600DPI ,Plug & Play Scan to Email/Mobile device/Cloud/USB/FPT and Network Folder. Media Size Legal 8.50" x 14.02", 0.52" x 0.52", 9.61" x 14.02", 2" x 2", Photo 4" x 6"
Maximum Scan Size Legal - 8.50" x 14.02"
Plustek EZ BookScan Centre is a walk-up book and document scanning solution designed with libraries in mind. The EZ BookScan Centre is fast, easy to use and eliminates spine shadow and distortions commonly created by copiers and traditional flatbed scanners. 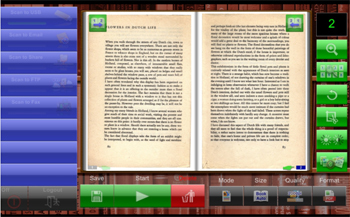 The system includes Kiosk-style software for scanning and automatic OCR text conversion. The EZ BookScan Centre also includes a large color touch screen monitor, and a high performance PC with Windows 7 Professional software at no additional cost. The EZ BookScan Centre is simple to use. The touch screen guides patrons through each step in the scanning process. No training or librarian’s help is needed. 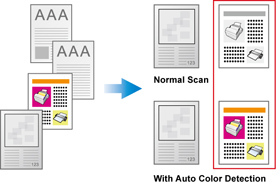 Scan A3 size document at a resolution of 300 DPI color mode in 2.4 sec, minimizing wait time. Integrated imaging technology specially designed for book and document scanning ensures the EZ BookScan Centre will produce high quality images of books, bound materials and documents. Large format scanning of A3 size books (304.8 x 431.8 mm / 12” x 17”). Scanning speed of 2.48 seconds at 300 dpi for an A3 size color page. EZ BookScan Centre be able to scan books or documents to portable USB drive, Email, cloud, network folder/PC, printer, FTP or fax. Simple-to-use book scanning, image processing and document management tools bundled for fast book scanning, PDF creation, image and photo editing. 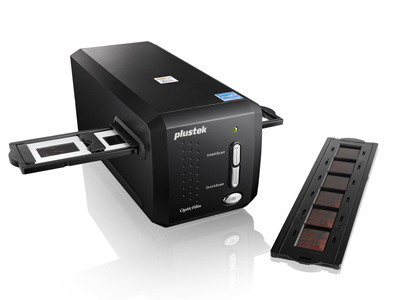 Plustek MobileOffice D430 is an easy to use, high speed scanner with a compact design that is ideal for ISVs and Systems Integrators with vertical market applications that require ID, embossed card, and mixed sized document scanning up to 8.5x50”. The small footprint and 33 ppm scanning speed makes this scanner ideal for front desk applications: pharmacy, patient registration, bank teller. Scans embossed plastic cards up to 1.2mm thick including, credit cards, driver license cards, ID cards, medical cards or membership cards. Simply lift the upper part of the scanner for cleaning. Simple maintenance improves image quality and paper feeding. 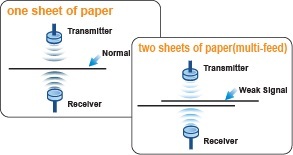 Paper can be ejected to the rear of the scanner or out the top. It allows the scanner to be placed right up against a wall in space constrained environments. hyper fast scanning speed, has perfect design for front desk usage. 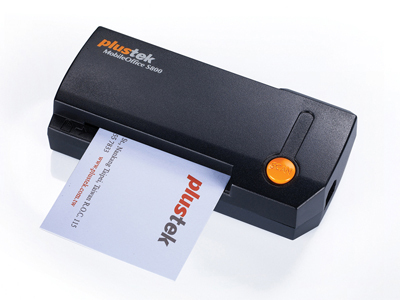 Plustek MobileOffice D430 offers a unique and compact paper output design with both horizontal and vertical output. This compact design makes it easy to place the scanner in a narrow or corner spot. Make the scanning process more friendly and enjoyable! Paper Size Min. - W x L 1.18 x 1.38 "
Paper Size Max. - W x L 8.5 x 50 "
Product Dimensions 11.93 x 3.7 x 2.36 "
Scan documents at the source with the MobileOffice S410G Portable Scanner from Plustek, featuring a compact design that makes it easy to keep by your side. It is a very capable scanning unit with the ability to handle documents ranging from 2 x 2" embossed business cards to long 8.5 x 36" documents, and each scan is highly detailed thanks to a 600 dpi optical resolution. It also works quickly with a speed of 9 seconds per A4-sized page in color at 300 dpi. Operation is simplified with two single-touch buttons, PDF and Scan as well as advanced image enhancement to ensure each scan is of the highest quality. It is powered through the USB 2.0 connection to your PC and can be set up to scan directly to Evernote Google Picasa for linking to the cloud. Additionally, it is TWAIN compliant and supports Windows 2000, XP, Vista, 7, and 8. Maximum Document Size: 8.5 x 36"
Minimum Document Size: 2 x 2"
Box Dimensions (LxWxH) 14.1 x 5.3 x 2.6"
Maximum Scan Size: 4.1 x 19.7"
Minimum Scan Size: 1.3 x 1.7"
Useful for scanning business cards, photos, and small documents while on the go, the compactMobileOffice S601 Card Scanner from Plustek will help improve productivity. It can scan items as small as 1.3 x 1.7" or as large as 4.1 x 19.7" with TWAIN support at an optical resolution of 600 dpi. 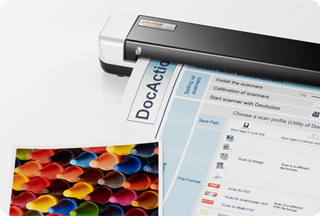 The unit is also quite fast with the ability to scan a color A6-size document in just 6 seconds at 300 dpi. Additionally, it features a color depth of 48-bit. The S601 is compatible with TWAIN and WIA drivers for enhanced compatibility and can create searchable PDF documents. The scanner is also USB powered for portability and has USB 2.0 connectivity. Box Dimensions (LxWxH) 10.3 x 7.2 x 2.0"
Plustek MobileOffice S800 is an ultra portable, palm sized business card scanning and management solution designed to be use in the office or on the road. MobileOffice S800does not require external power plugs or adapters.LED based illumination systems and intelligent image processing provide the highest quality image possible and accurate recognition and data extraction. 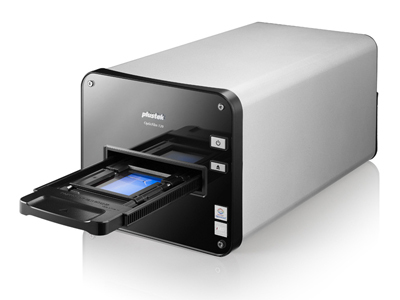 The S800 is only 2" x 4" X 1" and is powered by the USB bus. It does not require external power plugs or adapters. Scan business cards to your PC, laptop or netbook, in your office, at tradeshows, in the airport, at your customer site or on the road. 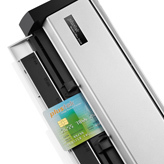 Simply insert the card in the scanner and the card is recognized and contact information is automatically extracted. LED based illumination systems and intelligent image processing provide the highest quality image possible and accurate recognition and data extraction. 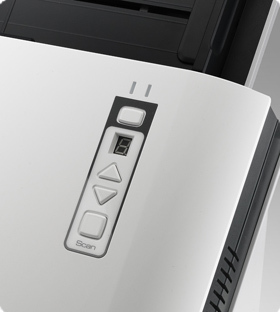 The MAC compatible Plustek OpticBook 3900 Scanner features a unique scanner design that eliminates spine shadows and easy to use software that simplifies the book scanning process. Using Plustek's patent-pending Shadow Elimination Element (SEE™) Technology, the OpticBook 3900 can scan any book without the book spine shadow and distorted text associated with book scanning on flatbed scanners. This scanner is ideal for home use, libraries, students, teachers, universities, law offices, and anyone that wants to turn books, magazines and other bound material into digital files. OpticBook 3900 scanner supports Mac OS with 10.7 - 10.10 and this scanner easily transforms your printed books, magazines and bound material into electronic formats. The OpticBook 3900 meets ENERGY STAR standards, and contributes to an environmentally-friendly and responsible work space. Bundled with simple-to-use document management tools (Macintosh & Windows), fast and secure PDF conversion, image organizer with thumbnail viewer, and accurate OCR software. OpticBook A300 can scan an A3 sized page in about 2.4seconds or a 200 page 8.5x11” book in about 20 minutes. Special book-edge design can scan any book without the book spine shadow and distorted text associated with book scanning on flatbed scanners or copiers. Pages are automatically cropped and rotated to the correct orientation and then saved to your choice of file formats including PDF and TIF. Scanning speed of 2.48 seconds at 300 dpi for an A3 size color page. The OpticFilm 120 delivers the professional image quality results from 35mm film strips, slides, and 120/220mm film from 6x4.5cm up to 6x12cm in sizes. It is designed for professional photographers, advanced amateur photographers, film photo enthusiasts, photography schools and clubs. The OpticFilm 120 satisfies the film scanning requirements of advanced amateurs or professionals that require the ultimate in image quality and an ICC profiled scanning system. During the OpticFilm 120 development phase, LaserSoft Imaging with its more than 25 years of experience in digital imaging has significantly contributed to achieve the OpticFilm's superior quality. The outstanding image quality is assured by state of the art optical and electronic systems including an 8-element glass lens with 5,300 dpi measured resolution, high-sensitive color CCD with 10,600 dpi resolution, and stable light sources. 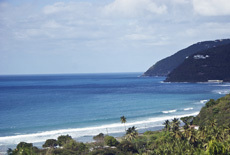 Delivering an effective usable Dynamic Range of 4,01 (with SilverFast Multi-Exposure®/ according to ISO 21550:2004) and a theoretically maximum density of 4.8, providing accurate color and all highlight and shadow details. The OpticFilm 120 includes patent-pending, adjustable pitch 120 film holders that ensures flat film for in-focus scans. Users do not need to cut 3-frame 6x7 120 film strips. The Opticfilm 120 also uses an automatic motorized film transport system that speeds the scanning workflow. Software plays an important role as hardware to deliver a brilliant image. The OpticFilm 120 comes with the world recognized professional film scanning software,SilverFast Ai Studio 8, and it is full functionality. 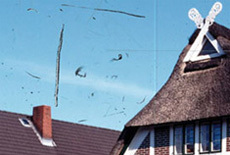 For example, SilverFast iSRD® helps dust and scratch removal and optimizes images. SilverFast Multi-Exposure®increases the dynamic range and reduces noises. Auto IT8 Calibration® helps color calibrating in 2 minutes and ensures correct colors. 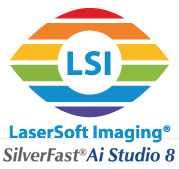 All in all, SilverFast Ai Studio 8 meets the highest standards, and these SilverFast software features are well-combined and perfectly-integrated with the OpticFilm 120. Upgrade to SilverFast Archive Suite 8 today and receive a 50% discount off the normal SilverFast Archive Suite upgrade price. Scans 35mm film and 120/220 film. Supports 6x4.5, 6x6, 6x7, 6x9 and 6x12 frame sizes. 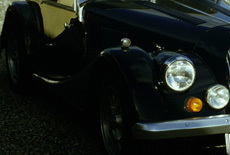 Up to 10,600 dpi input and 5,300 dpi measured output resolution for film and slides provides extraordinary images. Offering a high optical resolution of 3600 dpi and the ability to handle 35mm slides and negatives, the OpticFilm 135 Film Scanner from Plustek will help users easily digitize their latest rolls or preserve classic photos and memories. Scans will be sure to preserve detail with a Dmax of 3.4 and a color depth of 48-bit. Also, when working with the maximum area of 1.37 x 8.9" it can finish a 600 dpi scan in just 40 seconds. And, thanks to a motorized transport the OpticFilm 135 can automatically handle batches of scans. A convenient USB 2.0 interface is available for connection to a computer and the unit has three one-touch buttons for fast, simple operation. 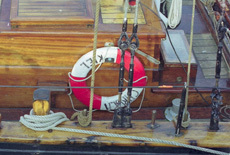 The OpticFilm 135 also benefits from no warm-up time for getting started immediately and with the use of an optional adapter can work with panoramic images. 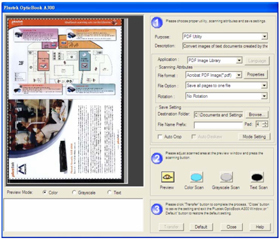 Additionally, Plustek QuickScan Plus software is included for tools in scanning and editing the images. Creates images at resolutions up to 17.3MP, allowing users to print the photos at sizes up to 12 x 17". Featuring an intuitive interface, users will be able to quickly convert their slides and negatives into digital files, including TIFF, JPG, and BMP. It also supports editing of multiple images, provides multiple views for comparing edits, and five creative picture effects. It also has a selection of other editing tools and allows users to upload images directly to social networks such as Facebook, Picasa, Flickr, and Twitter. Box Dimensions (LxWxH) 13.7 x 9.8 x 8.2"
Plustek OpticFilm 8100 is a dedicated and versatile film scanner with 7200 dpi optical resolution. Its light sources give images more precise color rendering with less power consumption. Two one-touch buttons make scanning easier and more efficient for sharing on websites such as Flickr, Facebook, Picasa, etc. 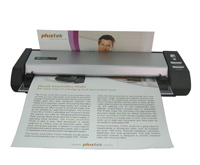 Compared with the conventional flatbed scanners, the Plustek OpticFilm 8100 provides a much smaller footprint. The scanner is about the same size as a loaf of bread and takes less space on one’s desktop. All OpticFilm scanners also include a custom carrying bag that can be used for transportation or storage. The Plustek OpticFilm 8100 and SilverFast software make a perfect combination. SilverFast Multi-Exposure® is especially for increasing the dynamic range, which adds more shadow details and eliminates noise. SilverFast NegaFix® with over 120 profiles for negative film guarantees best results when converting negatives into brilliant positives. With the Plustek OpticFilm 8100 it is easier than ever to get started. It is the ideal film scanner for a wide range of users, including home users, lomographers, small office / workshop users, amateur photographers and photographers. 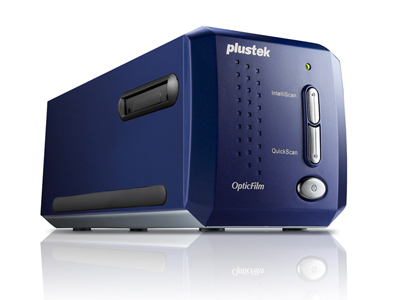 The Plustek OpticFilm 8200i SE is a 7200 dpi resolution scanner with state of the art illumination and optical systems designed to resolve very small differences in edge contrast. 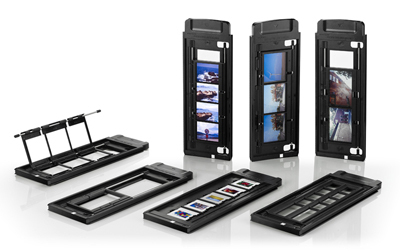 A built-in infrared channel can detect dust and scratches on the surface of the original negatives and slides. It is highly useful for defect removal without retouching the images. The MAC compatible Plustek OpticPro A320 is a large format scanner that can scan a 12” x 17” (304.8 mm x 431.8 mm) size document with resolution as high as 1600 DPI. It is ideal for prepress, graphic designers, digital preservation, photo organizers, scrapbooking, music scores, genealogy, maps, libraries, schools, small office/home office (SOHO) users and anyone that needs to scan A3 sized graphics and documents. This flatbed scanner is MAC 10.7/10.10 compatible. Large format scanning of A3 size documents and graphics (304.8 x 431.8 mm / 12” x 17”) up to 1600 dpi make this scanner ideal for prepress markets. Seven one-touch buttons for performing pre-set functions enable the user to quickly: scan, file, copy, OCR, create PDFs and email. Bundled with simple-to-use image processing and document management tools, fast and secure PDF conversion, image organizer with thumbnail viewer, and accurate OCR software. LINUX SANE only for Systems Integrator. Please contact local sales. The Plustek SmartOffice SC8016U is a departmental class A3 sized document scanner that features 80ppm (160 ipm) scan speed, 100 sheet feeder and 8,000 page per day duty cycle. Industry standard TWAIN driver ensures compatibility with almost any document imaging application. Featuring a scan speed of 80 pages per minute, 160 images per minute in duplex mode, a 100 sheet feeder and a daily duty cycle of 8,000 pages per day, the SmartOffice SN8016U is designed for applications requiring frequent scanning of large document batches. Industry standard TWAIN and WIA drivers combined with TIF, JPG, PDF and Microsoft Office file formats ensure compatibility with thousands of scanning and imaging programs. ABBYY FineReader Sprint is included to easily create and manage searchable PDFs at the touch of a button. Built in image processing ensures the highest image quality, reduces rescans, increases OCR accuracy and now includes automatic color detect. The SmartOffice SC8016U is environmentally responsible and easy to use at the same time thanks to its ENERY STAR certification, low power LED illumination technology and power-saving function. 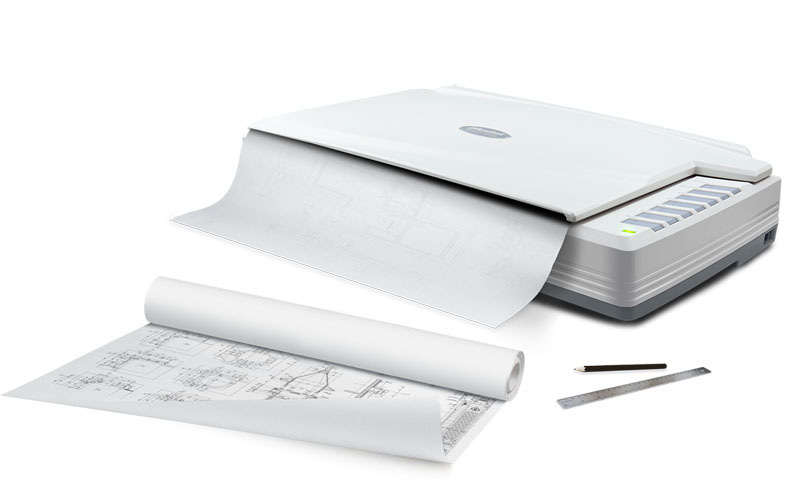 The SmartOffice SC8016U also features auto wake up that enables users to simply place the paper in the scanner and wake up the scanner from sleep / stand-by mode. 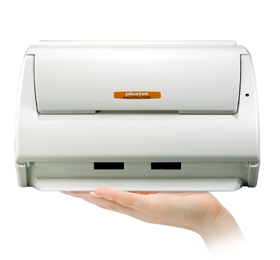 The 25 page per minute Plustek SmartOffice PL2550 workgroup class document scanner is designed with the image quality, paper handling and reliability required by demanding users. The 50 page Automatic Document feeder and 1500 page per day duty cycle enable the SmartOffice PL2550 suitable frequent document and rigid card scanning. 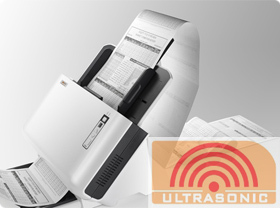 The SmartOffice PL2550 is designed to scan business documents up to 14” long and rigid cards, such as ID cards and drivers licenses, up to 1.2mm thick, without operator adjustments. A3 sized documents can also be scanned using the A3 merge scan mode and included A3 protection jacket. Mixed batches of documents can be scanned without sorting thanks to the class leading paper handling and image processing. 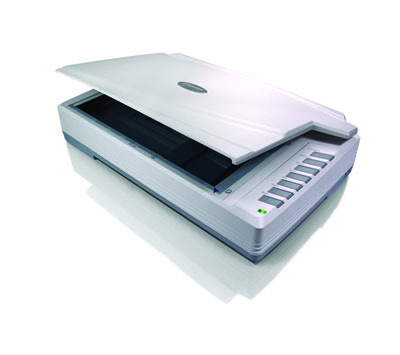 The 1200 dpi A4 size flatbed is ideal for scanning small, delicate or damaged documents. 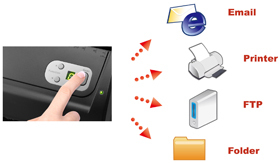 Single Touch buttons automate up to 9 different scanning jobs including: scan to searchable PDF, save to folder on your network or your computer, scan to email, scan to an application, and scan to printer. 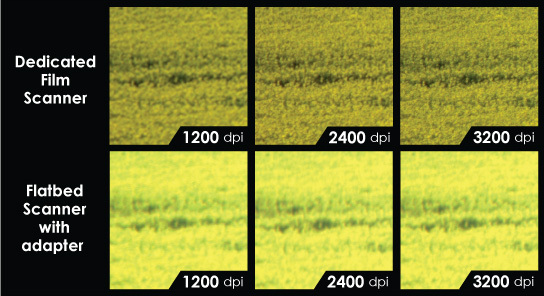 Built in image processing insures the highest image quality, reduces rescans, and increases OCR accuracy. The included software productivity suite featuring ABBYY Fine Reader Sprint, allows you to easily create and manage searchable PDFs. Industry standard TWAIN drivers combined with TIF, JPG, PDF and Microsoft Office file formats ensure compatibility with thousands of scanning and imaging programs. The SmartOffice PL2550 meets the ENERGY STAR standards, consuming less than 18W (operation mode) and less than 1W (sleep / standby mode) to create an environmentally-friendly and responsible space. The Plustek SmartOffice PS286 Plus workgroup class document scanner is designed with the image quality, paper handling and reliability required by the most demanding business users but at a price point attractive to home and SOHO users. The small size and footprint of the SmartOffice PS286 Plus make it appropriate for office, front desk or portable scanning tasks. A4 8.27" x 11.69", 0.52" x 0.52", Legal 8.50" x 14.02", 8.66" x 14.02", 2" x 2", A3 11.69" x 16.54"
The Plustek SmartOffice PS286 Plus workgroup class document scanner is designed with the image quality, paper handling and reliability required by the most demanding business users but at a price point attractive to home and SOHO users. 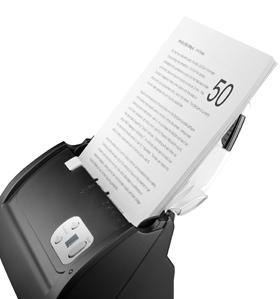 SmartOffice PS3060U is a 30 page per minute/60ipm, duplex grayscale document scanner. Using ultrasonic misfeed detection, it ensures all of your critical documents are imaged correctly. 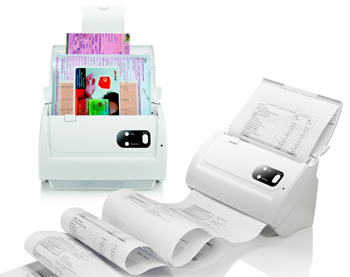 A redesigned 50 page Automatic Document Feeder with a 4000 page per day duty cycle enable the PS3060U to be used in any application requiring frequent document or rigid card scanning. With the built-in ultrasonic multi-feed detection capability, the SmartOffice PS3060U scanner prevents multi-feeds by checking the thickness of documents and detecting overlapping pages. When a multi-feed is detected, the scan halts and a warning message is displayed. This feature is turned on by default so that it automatically improves the scanning experience and results. Combining fast document feeding with the advantage of robust paper handling, the SmartOffice PS3060U is an ideal choice for workgroups who have a demanding workload and limited budget. Plastic and other rigid cards such as ID cards, Drivers Licenses, Membership Cards and Insurance Cards as well as long documents up to 200” are scanned without additional adjustments or additional set up. Mixed batches of documents can also be scanned without sorting, thanks to the class-leading paper handling and image processing of the PS3060U. With Plustek’s exclusive software application DocAction, users need only to properly place the document on the scanner and press the “Scan” button. 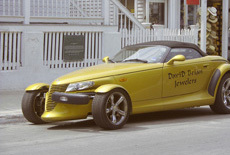 What’s best is that the scanned image can then be sent directly to your desired destination application. The features allow you to access programs such as Excel, Word, and your Email client and OCR and BCR seamlessly, as well as scan directly to searchable PDF, PDF/A, Copy and Save to File. The SmartOffice PS3060U features one of the most advanced document feeding and separation system in the industry. Advanced Image Processing automatically detects color documents, adjusts, straightens and crops documents with no operator intervention. 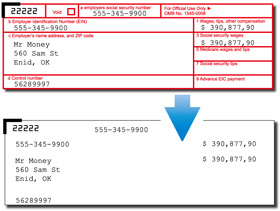 There is no need to separate documents by size or type, resulting in higher OCR accuracy and fewer rescans. Industry standard TWAIN and WIA drivers ensure compatibility with thousands of image enabled applications. Automatically straightens and crops image to the document's actual size. 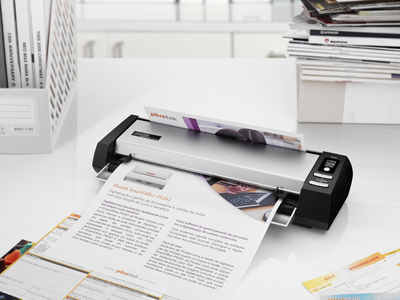 Scan documents quickly in simplex or duplex modes at 40 ppm or 80 ipm with the SmartOffice PS4080U Document Scanner from Plustek. It is able to produce detailed scans at an optical resolution of 600 dpi. 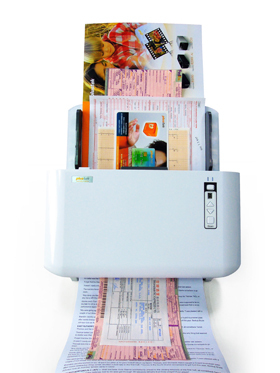 Also, it has a 100-sheet automatic document feeder that can handle documents or business cards as small as 0.52 x 0.52" as well as long documents up to 8.5 x 200". This enables quick processing of a variety of different files, which will improve the overall productivity of your office. Further benefitting the PS4080U's speed is ultrasonic multi-feed detection which ensures that only one document is fed and scanned at a time during batch jobs. Also, it has a daily duty cycle of 4,000 pages for ensuring it will keep working under demanding conditions. Additionally, it features USB 2.0 connectivity. Auto Threshold converts the images into a binary black & white image. Auto Rotate rotates document based on contents of the document. 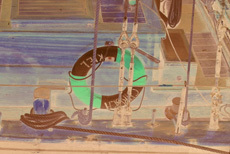 Auto Crop & Deskew straightens and crops the image to the documents actual size. Auto Mode detects document color and scans document in the appropriate mode. 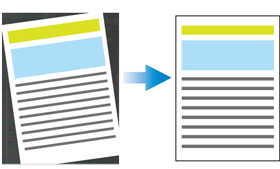 Multi-Image Output scans and saves document in 2 or 3 modes at the same time. Color Dropout removes red, green, or blue color when scanning forms. 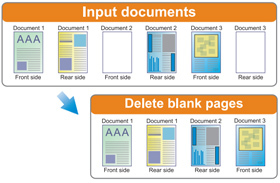 Blank Page Removal automatically removes blank pages from batch scans. The scanner is TWAIN compliant. Button utility that simplifies scanning by enabling users to specify personalized scanning configuartion settings and scan with the touch of a button. Scanned documents can be sent directly to printers, email, folders, or FTP and it also enables you to scan directly to many applications. 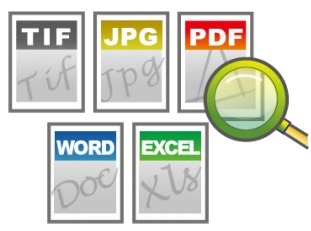 It will save documents in multiple formats, including JPEG, TIFF, and PDF. Standard TWAIN drivers for compatibility with a variety of software. 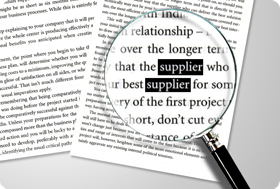 Optical character recognition software with support for up to 183 languages. 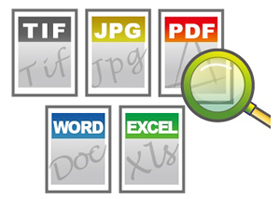 It converts scanned documents into Microsoft Word, Excel, searchable PDF, and other formats. It offers one-click smart conversion and has Adaptive Document Recognition Technology to preserve document formatting and style. Front-end client software that handles your documents, including capturing, previewing, converting, and delivering files. It allows users to easily merge files by dragging and dropping as well as use embedded OCR feature to convert documents into searchable formats. It is able to convert files into formatted RTF, HTML, or text files if desires and users can create and edit PDFs. It also works with cloud services for file management. Box Dimensions (LxWxH) 17.0 x 11.0 x 10.0"
The Plustek SmartOffice PS456U Scanner provides batch scanning at speeds of up to 80 pages per minute, or 160 images per minute in grayscale mode at 300 dpi. It features an optical resolution of 600 dpi and can hold up to 100 sheets of A4/letter-sized paper in its automatic document feeder. This makes it a suitable solution for those needing a fast batch scanner. 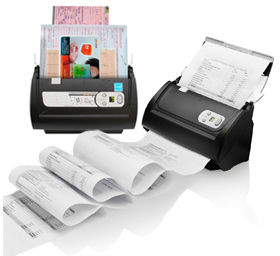 The PS456U offers the ability to handle a variety of document types at once. It can automatically determine paper size and thickness, allowing for scanning of cards and documents up to 8.5 x 98" without having to adjust your settings. Additionally, it utilizes an ultrasonic sensor to detect double feeding during scanning. This ensures accuracy while scanning large volumes of documents. This feature can be turned off for scanning documents with labels and notes attached. Reliability comes with a daily duty cycle of 8,000 sheets. This combined with a rated lifetime of 300,000 scans allows for intensive usage every day for many different jobs. It also features standard TWAIN and WIA drivers for increased software compatibilities. The scanner also has the ability to program 9 different functions for quick access to commonly used setting. The scanner additionally features a power saving sleep mode. 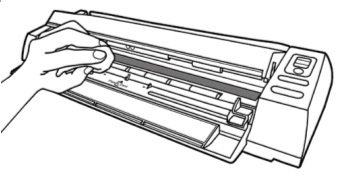 It can be woken up simply by placing documents in the sheet feeder for automatic detection. The PS456U comes with a USB 2.0 cable, AC adapter with power cable, setup CD-ROM, calibration sheet, cleaning cloth, pad module, and a feed chute. Box Dimensions (LxWxH) 16.8 x 11.0 x 7.0"
Includes: Nikon MA-21 Slide Mount Adapter, USB Cable & Power Cable. The Nikon SA-21 35mm Strip Film Adapter is a replacement holder that is included with the Nikon LS-40, LS-50 and Super Coolscan LS-4000, LS-5000 Scanners.